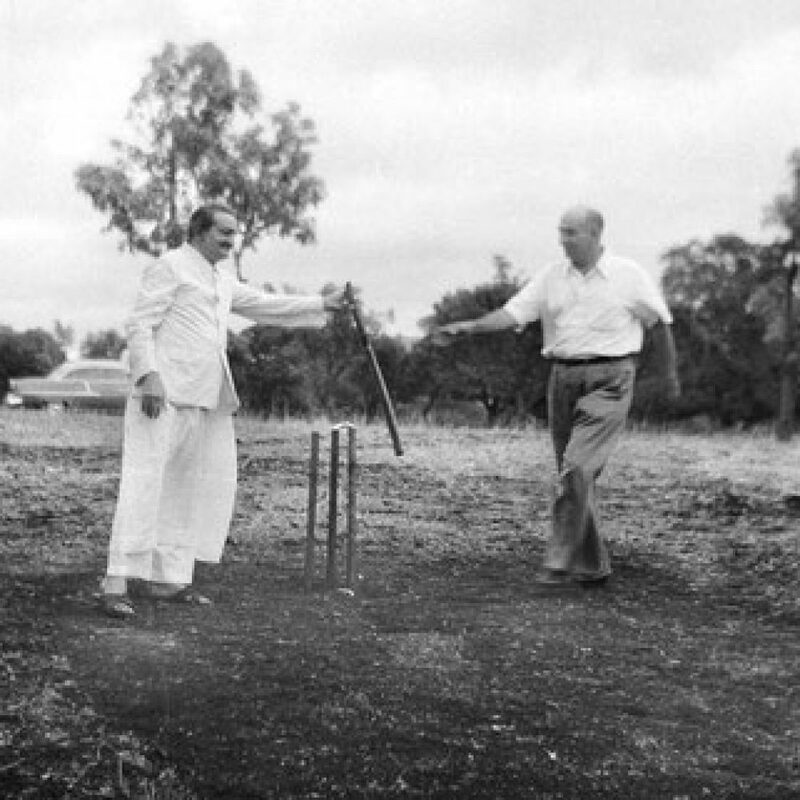 26 July 1953 – 26 July, Baba played cricket with the mandali and Elcha, Hellan, Kumar, Keki Nalavala, Harish Chander and Kishan Singh at the men’s bungalow. Elcha was made captain of one team and Kishan of the other. Baba played on both sides. The game started at nine o’clock, and except for a few, the rest were bumbling participants, some of whom did not even know the rules. Baba batted and bowled with a small kerchief tied around his head, sometimes arguing over a call. Elcha’s team eventually lost and Baba gave him two “strokes” on his backside with the bat. Baba decided that they would play cricket every Sunday and their weekly games continued for some time. Both sides would want Baba on their side, since he was by far the best player. At times they would toss a coin to decide the issue. Baba’s side inevitably won. 26 July 1945 – On his way back to Hyderabad, Baba stopped at Raichur on 26 July, where the mandali gathered 40 of the poorest destitutes about three miles from the city. Keeping his identity secret, Baba washed their feet and bowed down to these 40 mostly beggars (many of whom were blind) and handed them each three rupees as prasad. After this work, he traveled on a bone-rattling, six-hour bus journey to Mahbubnagar, where he contacted an excellent mast in a toddy shop.